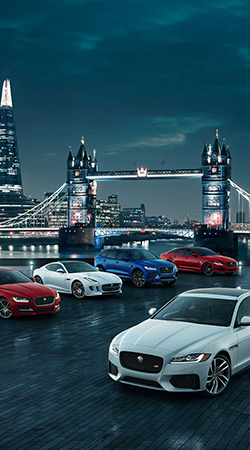 Jaguar Land Rover is a company that brings together two much loved, highly prestigious British car brands. We are looking for people who share our passion to join our highly successful Retailer Apprenticeship programme. Stretching the length and breadth of the UK, there are a variety of exciting and challenging apprenticeship opportunities across the network that support our people to reach their full potential. Jaguar Land Rover have ambitious growth plans and recognise the importance in identifying talented people to become the next generation of professional retailer employees. There are over 200 state-of-the-art Jaguar Land Rover Retailers across the UK. They combine modern, busy and professional working environments with an exciting backdrop of automotive excellence. All of our Apprentices are employed within the Jaguar Land Rover Retailer Network. Training is delivered through a successful combination of on-the-job and classroom based training centred on five regionalised state-of-the-art Jaguar Land Rover Training Academies. The Apprenticeship Programme is just the start. New apprentices are enrolled onto the Jaguar Land Rover Learner Management System to guide them through their short, medium and long term career paths. In this coming year the Jaguar Land Rover Retailer Apprentice Programme will qualify more apprentices than ever before and we are proud to be able to invite ambitious people to apply to join us on this incredible journey and to help you to develop your future with us. To join the programme, applicants must possess or demonstrate that they're predicted the following GCSE level (or equivalent) grades and that they are aged 16 or over. Four GCSE grades A – C (new grades 9 – 4) or equivalent in English, Maths and two other subjects. In Scotland, applicants must have or be predicted to achieve National 4 or above in English, Maths and either a Science or Technical subject. Standard Grades 1-4 and Intermediates are also accepted. We are here to help. Our dedicated Recruitment & Support team are committed to supporting all applicants through their application journey. The website has been shaped to ensure that the experience received by all of our applicants is fair and consistent with information, advice, guidance and feedback at every step. Take a look at the website for more information about the Apprenticeship Programme, the application and selection process and our UK Retailer Network. If you still have questions, please get in touch. We would be delighted to hear from you. If you're passionate about the automotive industry, have a drive to succeed and want to work with a prestigious brand then we'd love to hear from you. All of our opportunities are advertised on the website and can be found under the ‘Apply Now’ section. Apprenticeship opportunities are advertised all year round with new groups of learners starting with us all of the time. Connect with us on Facebook or Twitter to keep up to date with the latest news and to see what our current apprentices are up to.